South Africa-based Malawian boxer, Dennis ‘The Menace’ Mwale, has maintained his perfect professional record after winning by unanimous decision against Ripfumelo Chikwambana at Time Square, Menlyn, in Pretoria on Saturday. All three judges scored 60-54 each in favour of the Malawian during the six-round non-title contest. “It was a tough fight but I managed to contain him. He is a good boxer because he also defeated my compatriot Sando Jackson in 2017. I had to win at all cost as I am trying hard to do better to attract bigger fights,” he said. The 27-year-old boxer, who was born in Lilongwe and raised in Mzimba, has maintained his perfect record to six straight wins whereas Chikwambana has suffered his second loss, having won six fights including four knockouts. Local boxing pundit Steve ‘Mawenzi’ Msiska said Mwale must improve to win through technical knockouts. “Mwale is a good fighter who can stun top boxers but needs to add power to his punches. 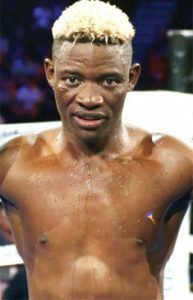 He could have easily won this fight by knockout but he had no power in his punches,” Msiska said. Malawi Professional Boxing Control Board spokesperson, Frank Chibisa, said they are following Mwale’s exploits with keen interest. “He is a good lad who is always hungry for a fight. He needs support from the country to vie for international belts,” Chibisa said. Mwale is trying to follow the footsteps of compatriot Isaac ‘Golden Boy’ Chilemba, who has won some international belts in his career after relocating to South Africa.